If you are searching for a new Toyota or used cars in Indio, California you have found the perfect Toyota Dealership. 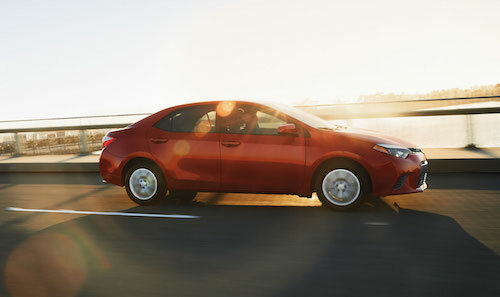 Indio residents have discovered our excellent pricing, convenient financing, and new Toyota Specials. At our Toyota Car Dealership you will find a great selection of new and used Toyota models including Cars, Trucks and SUVs for sale. We offer a large selection of new and used cars for sale in our Indio auto dealer inventory. Browse our complete Toyota Dealer inventory online to see a variety of new Toyota models and used cars as well as certified pre-owned Toyota vehicles including New Toyota Yaris, Corolla, C-Hr, Camry, Camry Hybrid, Prius, Avalon, RAV4, 86, Sienna, Highlander, 4Runner, Sequoia, Land Cruiser, Tacoma and Toyota Tundra models in stock now. For expert auto service and vehicle repairs bring your car or truck to our state-of-the-art Toyota Service Center. We offer services for everything from oil changes to engine repair. Our genuine Toyota Parts center is also on the premises and carries a full selection of replacement and aftermarket Toyota parts and accessories. For additional savings, our auto service specials and coupons are available for seasonal auto service and routine maintenance. When comparing nearby Toyota dealers you will find that our team will provide you with the best possible car buying experience and the highest level of customer service.